Both courses are accredited by Yoga Alliance International (YAI) and recognised internationally. Please email info@mindfulminis.co.za if you would like to attend or for more information. The greatest gift we can give our children is the experience of deep quiet. That beautiful place within where calm and contentment are found. A Foundation Training course must be completed prior to starting an Advanced Training course. 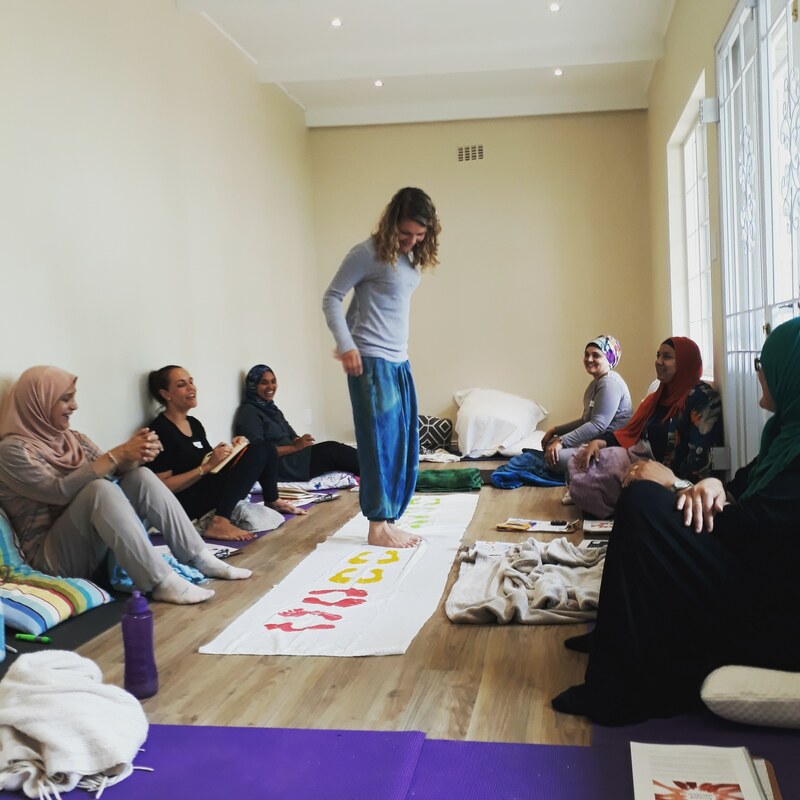 All training takes place at the Mindful Minis studio in Cape Town, South Africa. teachers wanting to incorporate mindfulness into their classroom. 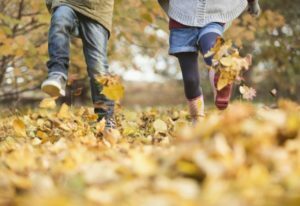 counsellors, therapists and anyone else already working with children in a professional capacity who would like to introduce mindfulness into the lives of the children they work with. 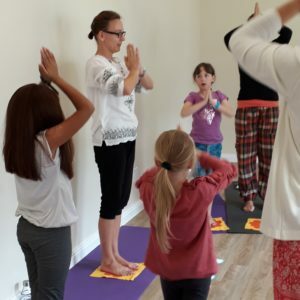 parents wanting to practise meditation and mindfulness with their children at home. This “100 level” advanced course is suitable for those wishing to register with Yoga Alliance Africa (http://yogaallianceafrica.com/), a division of Yoga Alliance International (YAI), as a certified children’s mindfulness teacher. 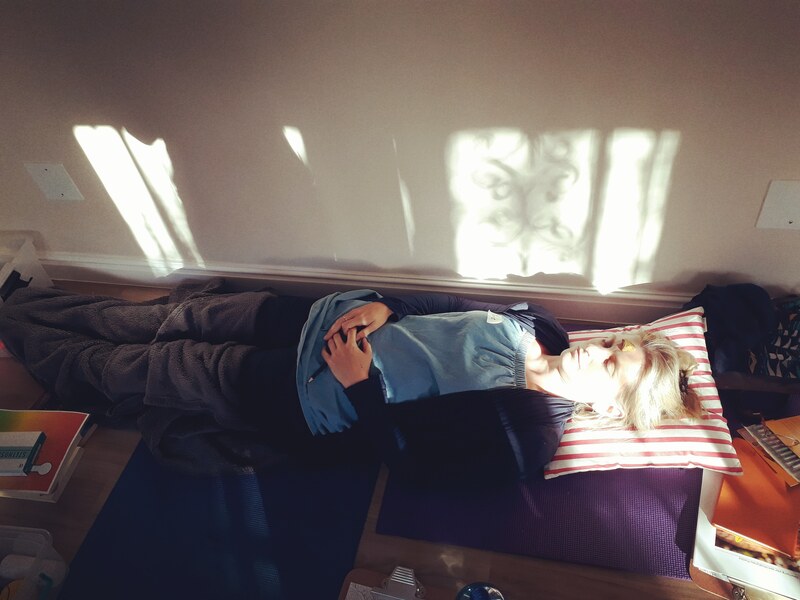 This will enable you to offer mindfulness classes at private studios, schools or in other community settings. 20 hours in-person Foundation Training. 60 hours supported home study and assignments. modules are emailed out every 2 weeks between the Foundation and Final Training weekends. most modules have assignments that needs to be completed in the 2 weeks. practical assessments are done in-person if you reside in Cape Town. Skype is available for those living outside of Cape Town. 20 hours in-person Final Advanced Training weekend. Attendance is required in person at the two 20-hour weekends (CPT) to complete this course. My expansion of knowledge has grown and I have learnt so much. So much inspiration. A beautifully executed course covering various aspects of mindfulness to bring to children. Superb! 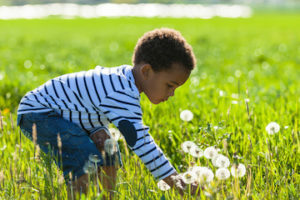 A heartfelt and inspiring course covering a lot and I am leaving with a fabulous toolbox to create mindfulness classes and workshops for children. The course went beyond my expectations! I wish to do more and expand and let my friends know about the course. The course helps you to be more actively present in your daily routines. It opens your mind to ways you can help your learners be more engaged and it also builds your knowledge about how mindfulness can really change the way you live day-to-day. The breathing activities will definitely benefit my learners. I hope to give my FET learners an awareness toolbox to use throughout their day. It was fabulous! The content was excellent. It flowed really well from one module to the next, right up to the final weekend. Well done! It is like you were MEANT to do this and it comes from your heart and soul – and one can really see that. What stands out for me the most is that I have become much more mindful during the course. I have noticed how I can be much more aware / present from moment to moment. The course exceeded my expectations! I didn’t only learn more about mindfulness and how to be able to teach it, I also learned a lot about myself with each module. I enjoyed the 7-day routine as it keeps you focused continuously. My heart is beaming with gratitude after attending your Foundation Phase training course. 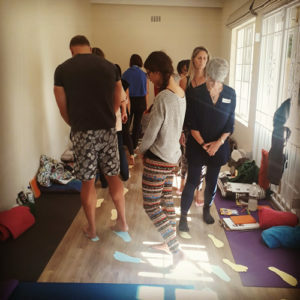 It was an absolutely uplifting and healing experience and it has given me all the tools that I wish to implement in my personal life as well as my teaching environment. I thoroughly enjoyed the company of the group that I was with and had so much fun doing all the exercises and activities that you presented us with. I have really connected to the knowledge that you have imparted and the way in which you explain the practice of mindfulness. 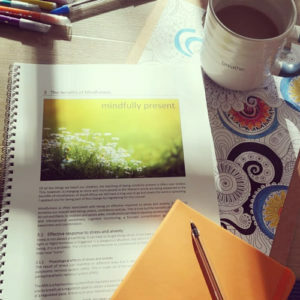 It has allowed me to begin the process of my personal positive growth and has given me the opportunity to teach my learners how to use mindfulness in their own personal development. I have never understood the importance of the simple breath, until you explained it so simply and wonderfully. I am hoping to model it to children so that they feel empowered to self-regulate. My sincere gratitude to you for blessing me with the opportunity and so willingly sharing your practice with me. This is just a note to say thank you so very much for the informative and deeply moving workshop on teaching mindfulness to kids. 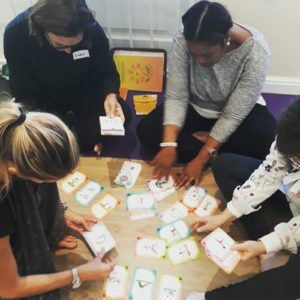 I loved the three days of total immersion in mindfulness and gained so much from the experience in terms of learning new skills and also a better understanding of myself and who I want to be as a parent. You have opened a door to a whole new language in parenting, therein assisting my children in developing their own skills in facing life. I look forward to many mindful family moments and feel that this is just the beginning of what will be a very rewarding journey for all of us. Thank you for the work that you do and for your open and caring way (and infectious laugh)! 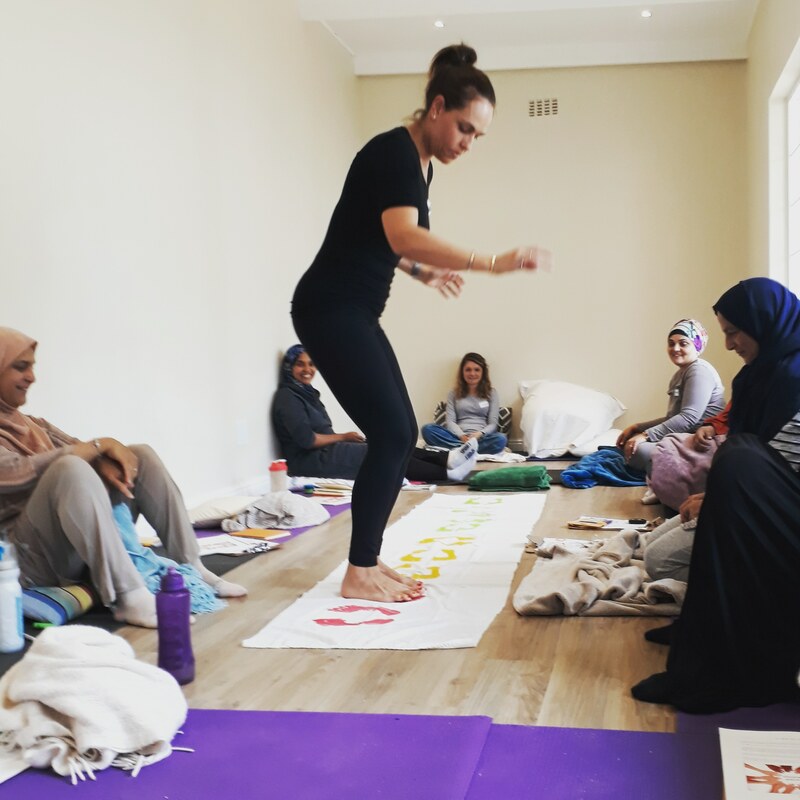 It was such an honour to be a part of Bianca’s First Mindful Minis Foundation Training Course. The course was extremely well organised and thought out with just the right mix of formal learning and fun & creative activities. Bianca’s passion for teaching mindfulness to children shone through throughout the entirety of the course. 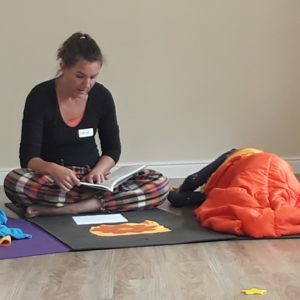 She is a very supportive, flexible, inspiring and encouraging teacher and an endless source of creative & practical ideas to help bring the gift of mindfulness into children’s lives. The course manual is very detailed and helpful – going over everything covered during the course and including an excellent suggested reading list. I can’t recommend her course highly enough and left feeling truly inspired and excited about sharing everything I had learnt with my family and friends!